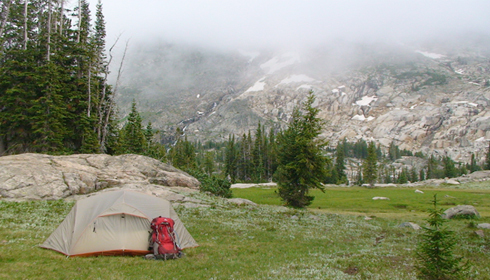 Camp-Tek was founded in 2009 to solve the real problems that outdoorsmen face. Steve Potratz, Camp-Tek Founder and President, was an experienced backpacker that wanted to introduce his children to the excitement of extended outdoor living. However, he found the sleeping mattresses used in his younger years no long provided the level of comfort and weight efficiency that he now required. After searching for a solution he found what he was looking for at Stephenson's Warmlite, a relatively unknown manufacturer that has been making down filled mattresses for some time. This solution was perfect except for one thing: manual inflation of this mattress was very difficult, and after a few uses he was convinced that there had to be a better way. He started exploring this problem and thinking of practical solutions. About this time, many other companies started coming out with mattresses that gave up the heavier self inflating models in favor of a new generation of light weight thermally enhanced mattresses such as NeoAir from Themarest, and the Insulated Air Core from Big Agnes. This made the need for a light weight backpacking inflator even greater, so he started developing the Microburst in earnest. As an engineer designing medical products, Steve has wide experience in quality product development. 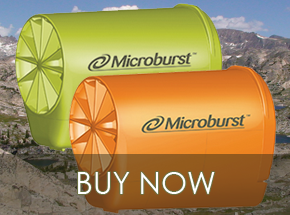 Together with friends to help fill in other areas of expertise, the Microburst became a reality. Not content to make a second rate product, we evaluated many designs and components over the next two years before arriving at the finished product we sell today. The requirements never changed. It had to be light weight, long lasting, efficient and easy to pack. The result is a product that we believe offers the best solution to backpackers who are tired of manually inflating this new generation of light weight mattresses. With this product, a new company Camp-Tek, was born to help solve real world problems backpackers face.